I know it sounds crazy to be getting a new kitchen floor as many of you know I live in a new build and only for the past four years or so. Why the need for a new floor? Well, we have had problems with our kitchen tiles since the day we moved in. The tiler who first put them in, did the grout so shallow it was cutting our bare feet when we walked on it and we kept stubbing our toes. Then we complained and had them come in to add more grout so it was smooth and flat. Shame on me for not being present on this day as the guy that added more grout used grey grout when we had cream grout the first time. It was clear the moment I walked in and he had already left that it wasn’t the same color in some spots as it was others. So I had no other choice but to complain again and we were still well within our “scratch list” from moving into our new build. It shouldn’t look like the grout is ten years old (dirty with two color tones) already so they had to come in and spent days cutting the old grout out and redoing not just our kitchen but they had messed up in the bathroom and laundry room tiles too. The nightmare of our kitchen tiles doesn’t stop here. Oh no, after redoing all the grout in all three rooms we were told afterwards they had chipped “a few” tiles while trying to get the old grout out. I counted over 45 tiles with large chips in it from all three rooms. Since that moment I have given up on the old tile and wanting new tile put in by a professional who knows what he is doing (hopefully) this time. With every nightmare I see a silver lining and with this I get to lighten the kitchen, bathroom and laundry room up with brighter tiles. I didn’t originally pick a lighter tile because there really wasn’t one in the options I had from the company we bought the house from but now that we were redoing it out of our own pockets, I can really search around for the one I love. Our house is dark on most days so I wanted something to reflect the light and make it brighter. This is the tile I have picked for our kitchen. You can see my kitchen tour here to get a feel for what it will look like with these added to the floor instead of the current light brown ones. I think it will really go with the black countertops and light cabinets. We also removed our shelves to put in two bar stools so we can eat at the kitchen island too. I can’t wait for it to be finished. Along with these lovely tiles we eventually want to get rid of the dark wood in the hallway and side rooms. When I say we, I mean me, but that’s far in the future because until my kids stop throwing toys across them – the dents and marks will long continue. Boy, do they already have many from just two toddlers. While we are starting off with these lovely light tiles, I have been searching for the right laminate floors to go with them. I don’t know if I should go a little darker or a bit more of a contrast to the grey or go with the lightest white and grey laminate to match, I can find. The verdict is still out. Carpetright has a vast gallery of laminate floor choices. These are a few I picked out to see how they looked with my new tiles. It’s hard to see the actual colors of these online but I think they would compliment my white tiles nicely as I have cream cupboards too. I have seen the Aspen Oak in person too and it has more grey tones in it then it shows here. It’s slowly becoming my favorite match so far. It’s always good to shop around and see who is providing what for what price. There are so many options these days you can always take a sample home with you to test it out. I highly recommend doing this because sometimes the shop lights make it look different then your own lights at home. 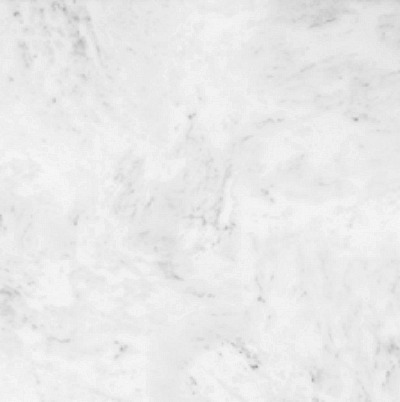 It just takes a minute to peak at my kitchens pinterest board below to know how much I love white and grey in the kitchen and all over the house for that matter. I have always been the light pastels and neutral kind of girl when it comes to home decor and well, even my wardrobe. Follow Let’s Talk Mommy’s board Kitchens on Pinterest. 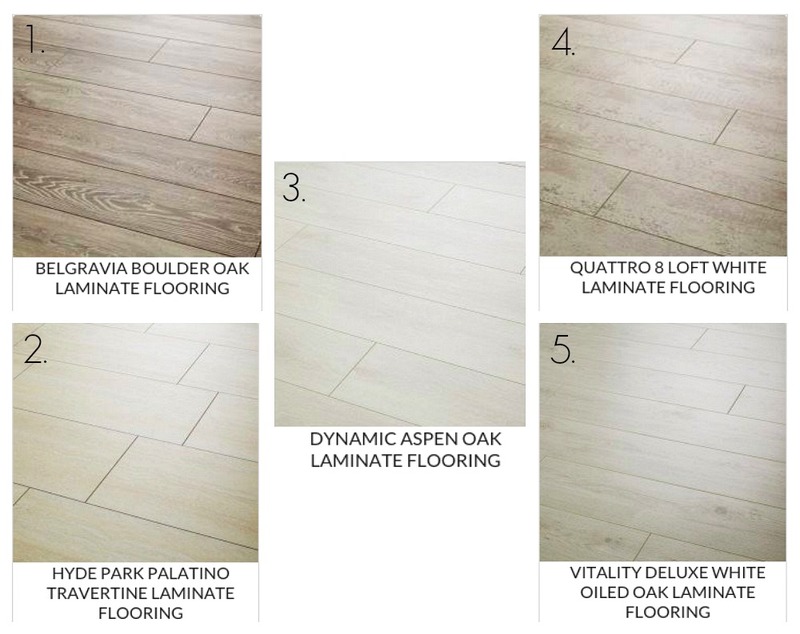 Which laminate floor do you think would go best with my tiles? Or do you think I should go for more white and grey laminates that match exactly? I am not sure if I want matchy matchy or contrast to mix it up for the rest of the house? It’s a tough one to decide, help me out and leave a comment below. Oh the decisions are tough. I think I like the lightest ones I can find but worry how much two toddlers were hurt it too. lol Thanks hun. You are so, so brave having your floor done while you’re away. I personally favour dark wood. I love walnut. I’m just waiting until the boys are a touch older and then we’ll replace our living room carpet with it. I can’t wait! Oh that sounds amazing. I would love all tile and hardwood downstairs and no carpet. Our carpets are cream and a mess from my two. I am brave or stupid I have yet to decide but I couldn’t be there with B’s allergies and all the dust and work that needs down for days on end in the kitchen and bathroom and laundry room I wouldn’t have any place for the kids. lol Fingers crossed I don’t regret it. Haha thanks for looking back at my kitchen tour. I think it will really brighten everything up. I am just sick of the darkness in my house. lol I agree, we might stick with our darker laminate for awhile as I don’t want too washed out either. Thanks Sue. I can’t wait to finish all the little projects I have going on in my home when I return. Great. I Try this in my kitchen floor. Thanks.